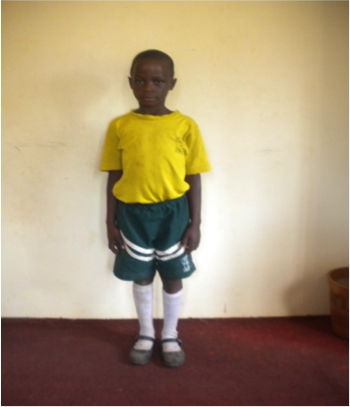 Monthly tuition fee of $50 provides a top rated education at the African Hearts Junior School Primary and a safe place to live. 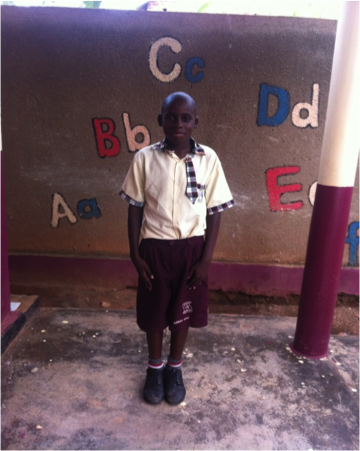 Your monthly donation provides all classroom supplies, complete uniform for 1 year, 3 hot meals a day, a bed, etc. We are so proud of these children. Thank you for your interest in their lives and the opportunity to give them HOPE for their future. 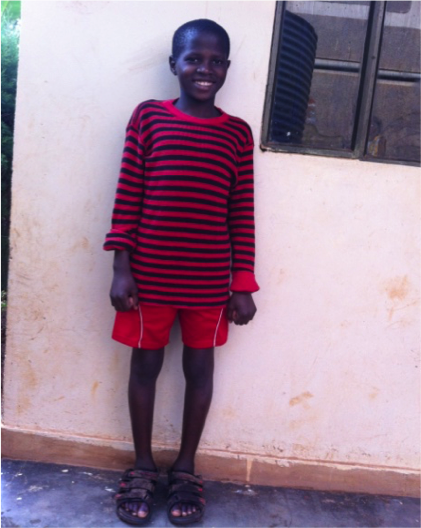 If you are interested in sponsoring one of these precious children, please click on the link at the bottom of the page. Please include the child's name and ID code located at the bottom of the photo. We will be in touch with you within 48 hours. Thank you for your love and support. Because of YOU, we DO make a difference! Lives with her mother. The father abandoned them and they do not know where he lives. He separated with the mother when Sharot was one year old. The mother is jobless but digs for trash to earn a living. She has one brother and one sister. Teddy stays with her uncle in Senge. 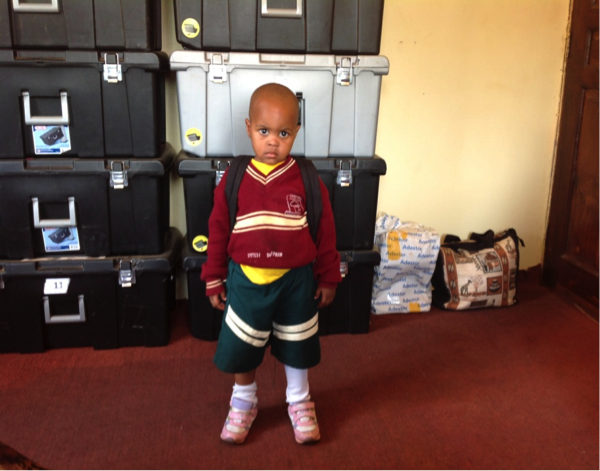 Her parents are poor and cannot afford taking her to school. 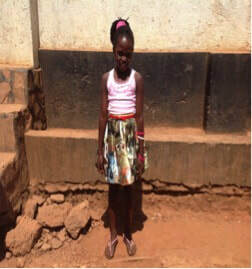 She loves being at school but her uncle is not working and struggles to earn a living, therefore cannot afford her school fees and has threatened to take her back to the village because he can no longer help her any more. would stay hungry because she deliberately refused to give them food. Due to this, john found no reason of staying at home and so decided to run to Kampala streets. His father is jobless and struggles to earn a living. Lives with the grandmother. The mother died of heart failure and the father abandoned him and they do not know where he is. The grandmother sells roasted maize to earn a living and takes care of 6 children. she struggles to earn a living and cannot afford taking him to school. 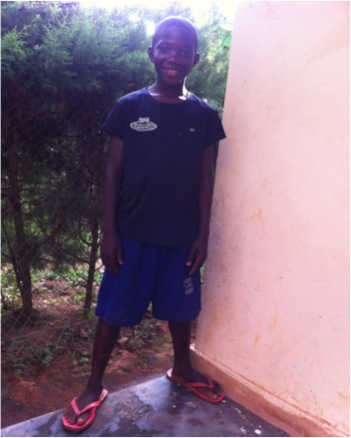 Simon is a street boy whose parents work and live there. His Aunt took him away from his parents because he was getting in to bad groups. She is finding it hard to meet his needs because she is already old(aged) and not working. 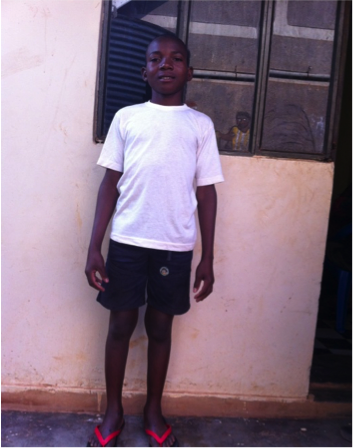 Adam is an orphan who lived with his maternal Aunt before he ran to street. His Aunt's daughter never loved him and mistreated him claiming that she never wanted him to stay at their home. She used to beat him for no reason and accuse him of what he had not done which forced him to run to Kampala streets. 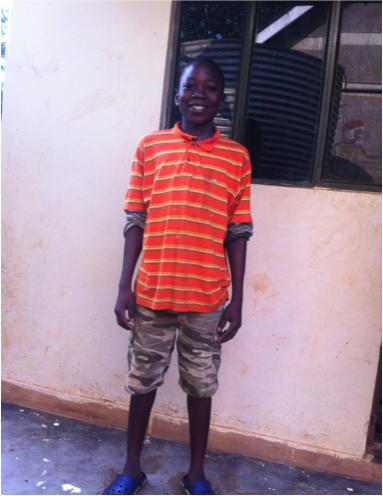 Peter was rescued from the streets of Kampala where he had lived for only 2 months. He is an orphan and used to stay with his Aunt who always beat him for no reason which made his life hard. One day he went with friends to the disco and when he came back, they threatened to beat him which forced him to run to street. 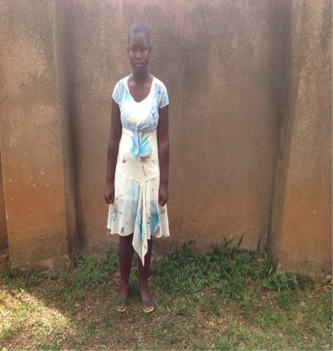 Renitah comes from a poor family and lives with her mother. Her father abandoned her after separating with the mother for other women. Her mother is jobless and struggles to earn a living. 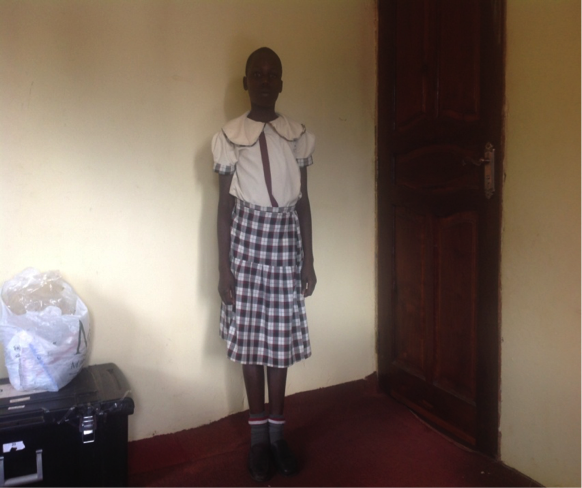 Renitah struggles being in school because her mother cannot afford paying her school fees yet she is bright and loves studying. We have found a need to save the child's future but we have no help yet. Yasin lived with his Uncle who mistreated and abandoned him. 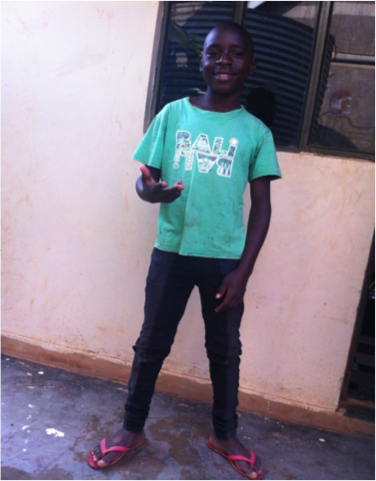 One day, they came to Kampala with his uncle and he left him in a tax without the boy's notice which left the boy confused and had nowhere to live which forced him to stay on street where police rescued him from and brought him to African hearts transition home. 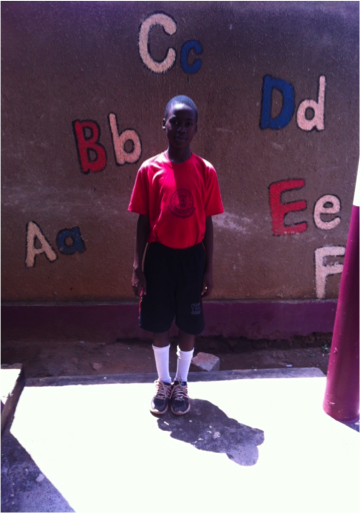 Yasin last saw his parents when he was so young and does not know where they are. Pearl stays with his Aunt. He has never seen his mum since he was born and does not know what happened to her. His father does petty jobs to earn a living and has many children which he cannot afford taking to school besides meeting all their needs. 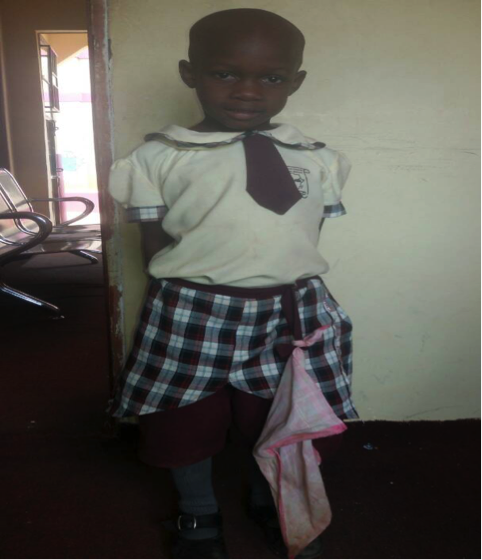 Pearl loves going to school but hardly settles there due to lack of school fees. Pearl has 3 brothers and 1 sister. Sande lived with his father and step mother who they never related with well. She segregated him and always accused him of what he never did. She was also a quarrelsome lady who abused everyone that tried to help the boy which tortured him because no one wanted to stay with him. Due to this, he ran to Kampala streets where he thought life would be better. Lucky lived with his step father and mum who beat him always in case of any slight mistake which lucky never wanted. 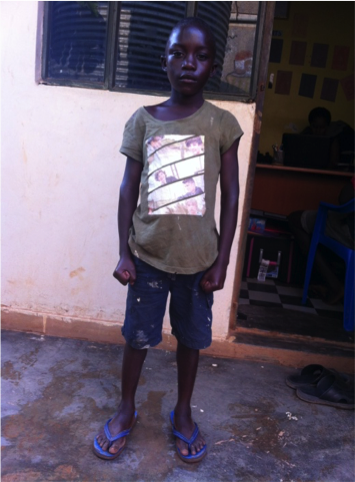 This forced him to ran to streets of Kampala where he was rescued from by African hearts community organization. His mother and father are jobless which has made their earning a living a struggle. Gildon lived with his mother in Busheyi. 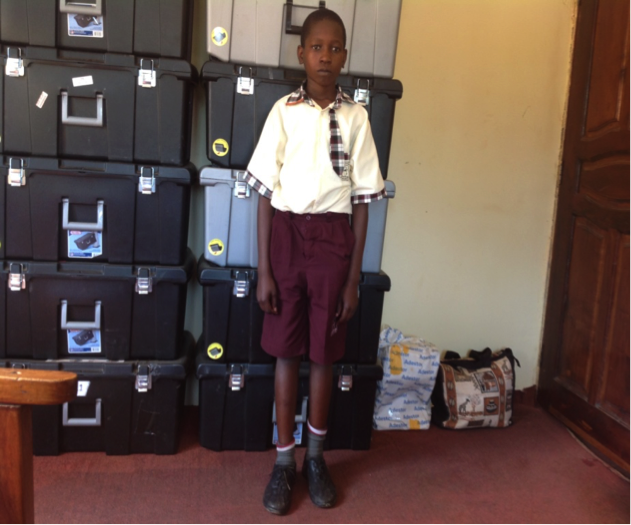 He run to streets because of fear to be beaten by his mother when he was chased from school after being accused of stealing. Instead of going home, he ran to Kampala streets. His mother sells clothes to earn a living but with struggle. Derrick lived with his step mother who mistreated him. Whenever something bad happened at home, they would accuse him and claim he had done it even if he had not. Due to this situation which he was tired of, he was influenced by a friend to ran to Kampala which he had also desired for a long time. This caused him to ran to the streets of Kampala. His father is poor and struggles to earn a living. 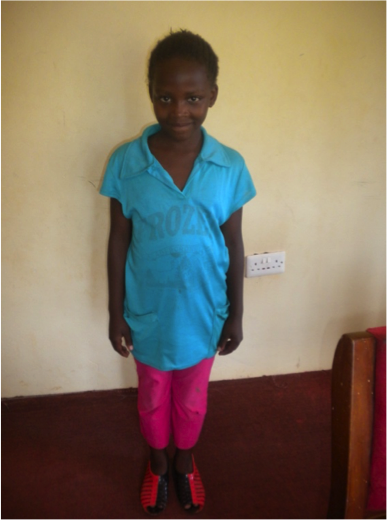 Merina stays with both parents who are poor. His father is a low income earner and the breadwinner of the family. They are struggling to meet all the basic needs of Merina especially school fees. Merina has 2 brothers and 4 sisters. He lives with a relative who adopted him due to the bad situation he was living in while in the village. 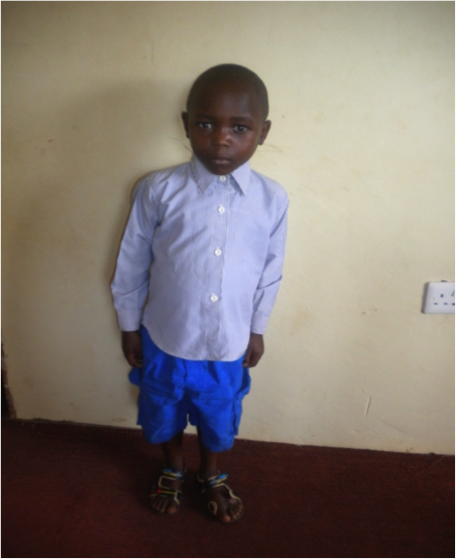 Joshua was abandoned by the mother when he was 2 years after she separated with the father in Kisoro. The father is a peasant farmer who struggles to earn a living and not able to take care of him. Joshua has 2 step sisters and 1 brother. 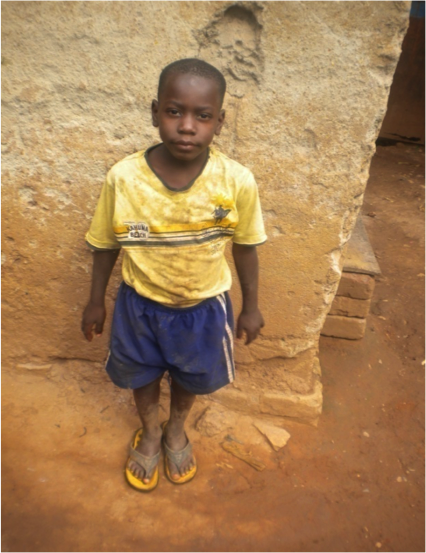 Sharif was abandoned by his father and lived with his mother. His mother works as a waitress in a restaurant and struggles to earn a living. 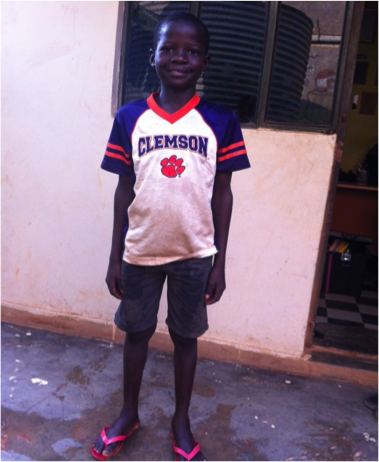 Sharif was offended by his Aunt which made him to run to street where he lived for 2 years and was rescued by African hearts. 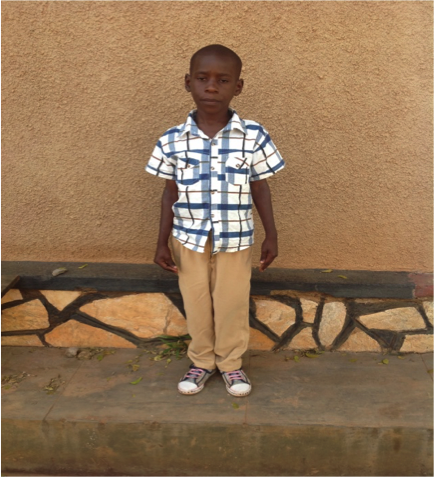 Geoffrey was rescued from Kampala street by African hearts community organization where he had spent 4 months. He used to delay at school where he was studying from due to too much work that would be given which annoyed and up set his parents. Due to this, they punished and also told him to go back where he was which gave him no option other than running to street. 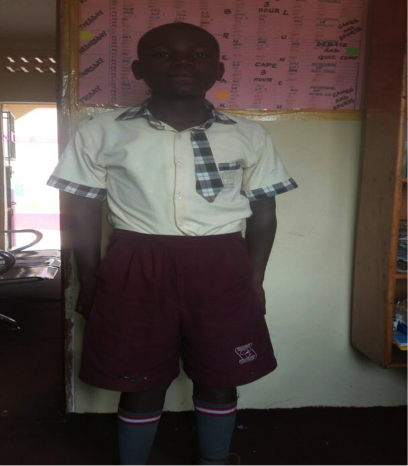 His mother is a house wife and his father does petty jobs to earn a living but meeting all the needs is a struggle. Lives with the sister. The mother separated with the father and abandoned her. The father does petty jobs which does not enable him to meet all her needs. She has 2 sisters and struggling in her education. Lives with her Aunt. The mother separated with the father for another man and abandoned her. The father got a problem with his back which affected his work because he couldn't sit for long hours. At the moment, he is jobless and struggling to earn a living. He cannot afford paying her school fees and cater for all her needs. She has one brother. Lives with the mother. the father died and the mother does petty jobs to earn a living. The mother is sick of HIV/AIDS and this has affected her life so much leaving her with no abilities to meet all the needs. She has 2 sisters. 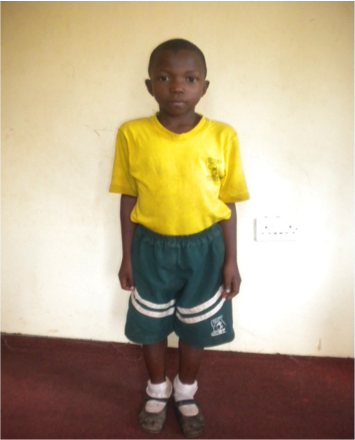 Brian was rescued from Kampala street by African hearts community organization where he had stayed for 2 years and was taken to the transition home. He ran away from home because he was being accused of stealing which he claims he had not done and his father beat him so hard. Due to the fear of the dad and feeling bad of how they had punished him, he ran to street. He used to collect used empty bottles and sell them to earn a living but had nothing to eat and where to sleep. 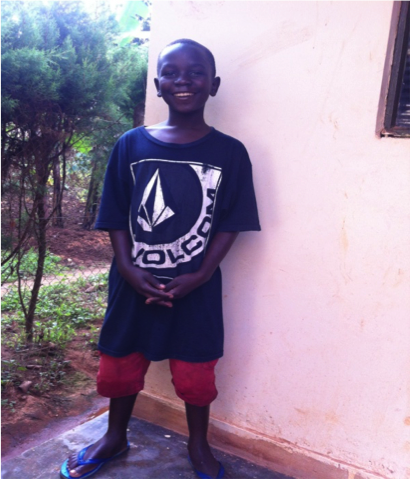 Through African hearts slum programs, which Brian used to attend on a daily basis, they were able to rescue him. Lives with the Uncle. The father died when he was 2 years old and the mother being jobless was not to take care of him. She therefore asked the uncle to help who has struggled taking care of him besides his own family. The uncle at the moment cannot afford meeting all his needs especially taking him to school the fact that he has other 4 children he takes care of. Lives with his mother. His father separated with his mother because he used not care for the family and spent all the money drinking alcohol and beat the wife whenever he was drunk. He abandoned the children and they do not know his where about. Abbey's mother is the breadwinner of her children at the moment and she has no job. Because of this, she is struggling to meet all needs and cannot afford to pay school fees for her children. 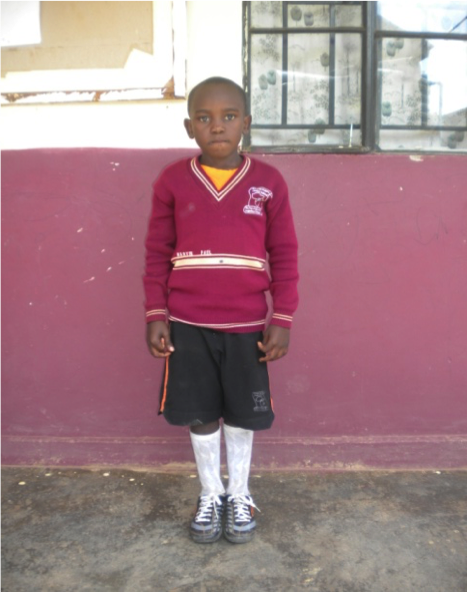 Abbey has 1 sister and 4 brothers who are all struggling to be school. Due to this, we felt a need of helping her to secure the future of the child. Lives with the mother who is a single parent. The father abandoned him and the mother is the only one that takes care of everything. She does petty jobs and struggles to earn a living. Therefore, cannot afford paying his school fees. Paul has one sister. Her father died and the mother is not working. They have nothing to survive on since the father died who was taking care of every need. She has 1 sister and 1 brother who are all not studying due to lack of school fees and the mother is struggling to earn them a living. Different people (family friends) have been giving her a hand on feeding the children but of which it is inconsistent and they do not meet all their needs. 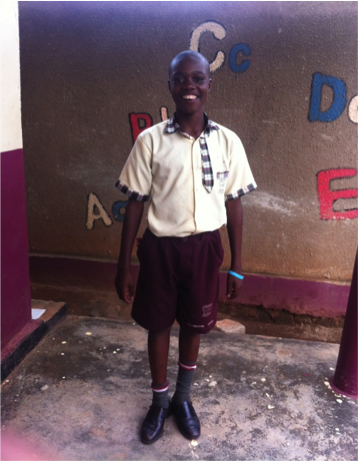 Cornelius lived with his grandmother in Uganda. 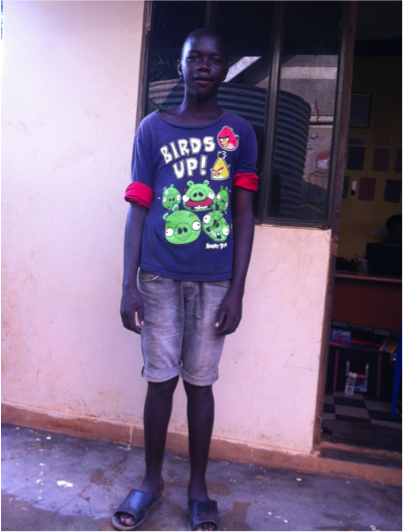 He stole his grandmother's eggs and feared to be beaten which made him to run to street. 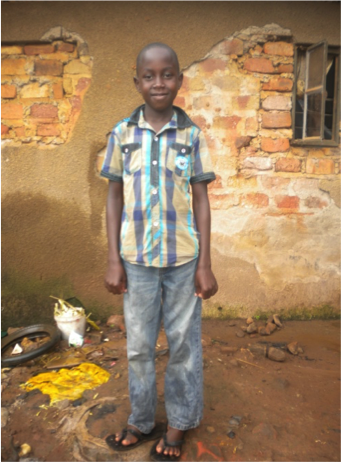 His mother is jobless and his father digs toilets to earn a living which is a struggle and cannot afford paying school fees for his child. 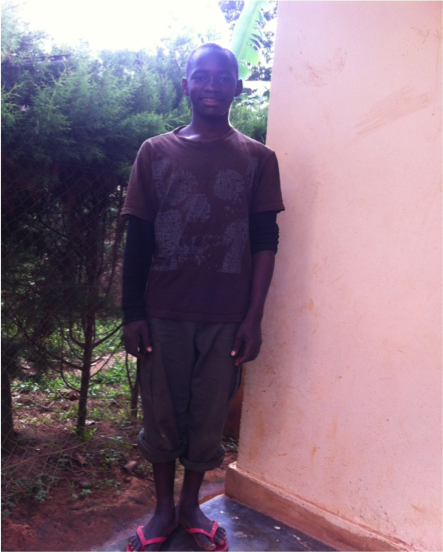 Ronald was rescued from the streets of Kampala where he had lived for only 4 months. He was influenced by friends who told him to ran away from home for interest of working which forced him to run to street but had no problem at home. His father died and his mother has no job to take care of her children and earning a living is a struggle.